GRAND ELECT, PERFECT, AND SUBLIME MASON. IT is for each individual Mason to discover the secret of Masonry, by reflection upon its symbols and a wise consideration and analysis of what is said and done in the work. Masonry does not inculcate her truths. She states them, once and briefly; or hints them, perhaps, darkly; or interposes a cloud between them and eyes that would be dazzled by them. “Seek, and ye shall find,” knowledge and the truth. The practical object of Masonry is the physical and moral amelioration and the intellectual and spiritual improvement of individuals and society. Neither can be effected, except by the dissemination of truth. It is falsehood in doctrines and fallacy in principles, to which most of the miseries of men and the misfortunes of nations are owing. Public opinion is rarely right on any point; and there are and always will be important truths to be substituted in that opinion in the place of many errors and absurd and injurious prejudices. There are few truths that public opinion has not at some time hated and persecuted as heresies; and few errors that have not at some time seemed to it truths radiant from the immediate presence of God. There are moral maladies, also, of man and society, the treatment of which requires not only boldness, but also, and more, prudence and discretion; since they are more the fruit of false and pernicious doctrines, moral, political, and religious, than of vicious inclinations. revealing it, to him who even partially comprehends all the Degrees in proportion as he receives them; and particularly to those who advance to the highest Degrees of the Ancient and Accepted Scottish Rite. That Rite raises a corner of the veil, even in the Degree of Apprentice; for it there declares that Masonry is a worship. Masonry labors to improve the social order by enlightening men’s minds, warming their hearts with the love of the good, inspiring them with the great principle of human fraternity, and requiring of its disciples that their language and actions shall con-form to that principle, that they shall enlighten each other, control their passions, abhor vice, and pity the vicious man as one afflicted with a deplorable malady. It is the universal, eternal, immutable religion, such as God planted it in the heart of universal humanity. No creed has ever been long-lived that was not built on this foundation. It is the base, and they are the superstructure. “Pure religion and undefiled before God and the Father is this, to visit the fatherless and widows in their affliction, and to keep himself unspotted from the world.” “Is not this the fast that I have chosen? to loose the bands of wickedness, to undo the heavy burdens, and to let the oppressed go free, and that ye break every yoke?” The ministers of this religion are all Masons who comprehend it and are devoted to it; its sacrifices to God are good works, the sacrifices of the base and disorderly passions, the offering up of self-interest on the altar of humanity, and perpetual efforts to attain to all the moral perfection of which man is capable. To make honor and duty the steady beacon-lights that shall guide your life-vessel over the stormy seas of time; to do that which it is right to do, not because it will insure you success, or bring with it a reward, or gain the applause of men, or be “the best policy,” more prudent or more advisable; but because it is right, and therefore ought to be done; to war incessantly against error, intolerance, ignorance, and vice, and yet to pity those who err, to be tolerant even of intolerance, to teach the ignorant, and to labor to reclaim the vicious, are some of the duties of a Mason. when he hath them not; that is, not sadder if they are in his neighbor’s exchequer, nor more lifted up if they shine around about his own walls; one that is not moved with good fortune coming to him, nor going from him; that can look upon another man’s lands with equanimity and pleasure, as if they were his own; and yet look upon his own, and use them too, just as if they were another man’s; that neither spends his goods prodigally and foolishly, nor yet keeps them avariciously and like a miser; that weighs not benefits by weight and number, but by the mind and circumstances of him who confers them; that never thinks his charity expensive, if a worthy person be the receiver; that does nothing for opinion’s sake, but everything for conscience, being as careful of his thoughts as of his acting in markets and theatres, and in as much awe of himself as of a whole assembly; that is, bountiful and cheerful to his friends, and charitable and apt to forgive his enemies; that loves his country, consults its honor, and obeys its laws, and desires and endeavors nothing more than that he may do his duty and honor God. And such a Mason may reckon his life to be the life of a man, and compute his months, not by the course of the sun, but by the zodiac and circle of his virtues. Essentially philanthropic, philosophical, and progressive, it has for the basis of its dogma a firm belief in the existence of God and his providence, and of the immortality of the soul; for its object, the dissemination of moral, political, philosophical, and religious truth, and the practice of all the virtues. In every age, its device has been, “Liberty, Equality, Fraternity,” with constitutional government, law, order, discipline, and subordination to legitimate authority–government and not anarchy. ignorance, debasement, and crime, and the necessity of subordination to lawful will and authority. Therefore it teaches its members to love one another, to give to each other mutual assistance and support in all the circumstances of life, to share each other’s pains and sorrows, as well as their joys and pleasures; to guard the reputations, respect the opinions, and be perfectly tolerant of the errors, of each other, in matters of faith and beliefs. It is philosophical, because it teaches the great Truths concerning the nature and existence of one Supreme Deity, and the existence and immortality of the soul. It revives the Academy of Plato, and the wise teachings of Socrates. It reiterates the maxims of Pythagoras, Confucius, and Zoroaster, and reverentially enforces the sublime lessons of Him who died upon the Cross. The ancients thought that universal humanity acted under the influence of two opposing Principles, the Good and the Evil: of which the Good urged men toward Truth, Independence, and Devotedness; and the Evil toward Falsehood, Servility, and Selfishness. Masonry represents the Good Principle and constantly wars against the evil one. It is the Hercules, the Osiris, the Apollo, the Mithras, and the Ormuzd, at everlasting and deadly feud with the demons of ignorance, brutality, baseness, falsehood, slavishness of soul, intolerance, superstition, tyranny, meanness, the insolence of wealth, and bigotry. When despotism and superstition, twin-powers of evil and darkness, reigned everywhere and seemed invincible and immortal, it invented, to avoid persecution, the mysteries, that is to say, the allegory, the symbol, and the emblem, and transmitted its doctrines by the secret mode of initiation. Now, retaining its ancient symbols, and in part its ancient ceremonies, it displays in every civilized country its banner, on which in letters of living light its great principles are written; and it smiles at the puny efforts of kings and popes to crush it out by excommunication and interdiction. by revelation. It must necessarily be both limited and alloyed, to bring it within the competence of finite human intelligence. Being finite, we can form no correct or adequate idea of the Infinite; being material, we can form no clear conception of the Spiritual. We do believe in and know the infinity of Space and Time, and the spirituality of the Soul; but the idea of that infinity and spirituality eludes us. Even Omnipotence cannot infuse infinite conceptions into finite minds; nor can God, without first entirely changing the conditions of our being, pour a complete and full knowledge of His own nature and attributes into the narrow capacity of a ‘human soul. Human intelligence could not grasp it, nor human language express it. The visible is, necessarily, the measure of the invisible. The consciousness of the individual reveals itself alone. His knowledge cannot pass beyond the limits of his own being. His conceptions of other things and other beings are only his conceptions. They are not those things or beings themselves. The living principle of a living Universe must be INFINITE; while all our ideas and conceptions are finite, and applicable only to finite beings. The Deity is thus not an object of knowledge, but of faith; not to be approached by the understanding, but by the moral sense; not to be conceived, but to be felt. All attempts to embrace the Infinite in the conception of the Finite are, and must be only accommodations to the frailty of man. Shrouded from human comprehension in an obscurity from which a chastened imagination is awed back, and Thought retreats in conscious weakness, the Divine Nature is a theme on which man is little entitled to dogmatize. Here the philosophic Intellect becomes most painfully aware of its own insufficiency. And yet it is here that man most dogmatizes, classifies and describes God’s attributes, makes out his map of God’s nature, and his inventory of God’s qualities, feelings, impulses, and passions; and then hangs and burns his brother, who, as dogmatically as he, makes out a different map and inventory. The common understanding has no humility. Its God is an incarnate Divinity. Imperfection imposes its own limitations on the Illimitable, and clothes the Inconceivable Spirit of the Universe in forms that come within the grasp of the senses and the intellect, and are derived from that infinite and imperfect nature which is but God’s creation. We are all of us, though not all equally, mistaken. The cherished dogmas of each of us are not, as we fondly suppose, the pure truth of God; but simply our own special form of error, our guesses at truth, the refracted and fragmentary rays of light that have fallen upon our own minds. Our little systems have their day, and cease to be; they are but broken lights of God; and He is more than they. Perfect truth is not attainable anywhere. We style this Degree that of Perfection; and yet what it teaches is imperfect and defective. Yet we are not to relax in the pursuit of truth, nor contentedly acquiesce in error. It is our duty always to press forward in the search; for though absolute truth is unattainable, yet the amount of error in our views is capable of progressive and perpetual diminution; and thus Masonry is a continual struggle toward the light. All errors are not equally innocuous. That which is most injurious is to entertain unworthy conceptions of the nature and attributes of God; and it is this that Masonry symbolizes by ignorance of the True Word. The true word of a Mason is, not the entire, perfect, absolute truth in regard to God; but the highest and noblest conception of Him that our minds are capable of forming; and this word is Ineffable, because one man cannot communicate to another his own conception of Deity; since every man’s conception of God must be proportioned to his mental cultivation, and intellectual powers, and moral excellence. God is, as man conceives Him, the reflected image of man himself. For every man’s conception of God must vary with his mental cultivation and mental powers. If any one contents himself with any lower image than his intellect is capable of grasping, then he contents himself with that which is false to him, as well as false in fact. If lower than he can reach, he must needs feel it to be false. And if we, of the nineteenth century after Christ, adopt the conceptions of the nineteenth century before Him; if our conceptions of God are those of the ignorant, narrow-minded, and vindictive Israelite; then we think worse of God, and have a lower, meaner, and more limited view of His nature, than the faculties which He has bestowed are capable of grasping. The highest view we can form is nearest to the truth. If we acquiesce in any lower one, we acquiesce in an untruth. We feel that it is an affront and an indignity to Him, to conceive of Him as cruel, short-sighted, capricious, and unjust; as a jealous, an angry, a vindictive Being. [paragraph continues] When we examine our conceptions of His character, if we can conceive of a loftier, nobler, higher, more beneficent, glorious, and magnificent character, then this latter is to us the true conception of Deity; for nothing can be imagined more excellent than He. Religion, to obtain currency and influence with the great mass of mankind, must needs be alloyed with such an amount of error as to place it far below the standard attainable by the higher human capacities. A religion as pure as the loftiest and most cultivated human reason could discern, would not be comprehended by, or effective over, the less educated portion of mankind. What is Truth to the philosopher, would not be Truth, nor have the effect of Truth, to the peasant. The religion of the many must necessarily be more incorrect than that of the refined and reflective few, not so much in its essence as in its forms, not so much in the spiritual idea which lies latent at the bottom of it, as in the symbols and dogmas in which that idea is embodied. The truest religion would, in many points, not be comprehended by the ignorant, nor consolatory to them, nor guiding and supporting for them. The doctrines of the Bible are often not clothed in the language of strict truth, but in that which was fittest to convey to a rude and ignorant people the practical essentials of the doctrine. A perfectly pure faith, free from all extraneous admixtures, a system of noble theism and lofty morality, would find too little preparation for it in the common mind and heart, to admit of prompt reception by the masses of mankind; and Truth might not have reached us, if it had not borrowed the wings of Error. The Mason regards God as a Moral Governor, as well as an Original Creator; as a God at hand, and not merely one afar off in the distance of infinite space, and in the remoteness of Past or Future Eternity. He conceives of Him as taking a watchful and presiding interest in the affairs of the world, and as influencing the hearts and actions of men. magnitude and power, to give birth to new ideas, and grander conceptions of the Truths vital to Humanity. We hold that God has so ordered matters in this beautiful and harmonious, but mysteriously-governed Universe, that one great mind after another will arise, from time to time, as such are needed, to reveal to men the truths that are wanted, and the amount of truth than can be borne. He so arranges, that nature and the course of events shall send men into the world, endowed with that higher mental and moral organization, in which grand truths, and sublime gleams of spiritual light will spontaneously and inevitably arise. These speak to men by inspiration. Whatever Hiram really was, he is the type, perhaps an imaginary type, to us, of humanity in its highest phase; an exemplar of what man may and should become, in the course of ages, in his progress toward the realization of his destiny; an individual gifted with a glorious intellect, a noble soul, a fine organization, and a perfectly balanced moral being; an earnest of what humanity may be, and what we believe it will hereafter be in God’s good time; the possibility of the race made real. are fresh and strong. God is still everywhere in nature. Wherever a heart beats with love, wherever Faith and Reason utter their oracles, there is God, as formerly in the hearts of seers and prophets. No soil on earth is so holy as the good man’s heart; nothing is so full of God. This inspiration is not given to the learned alone, not alone to the great and wise, but to every faithful child of God. Certain as the open eye drinks in the light, do the pure in heart see God; and he who lives truly, feels Him as a presence within the soul. The conscience is the very voice of Deity. Masonry, around whose altars the Christian, the Hebrew, the Muslem, the Brahman, the followers of Confucius and Zoroaster, can assemble as brethren and unite in prayer to the one God who is above all the Baalim, must needs leave it to each of its Initiates to look for the foundation of his faith and hope to the written scriptures of his own religion. For itself it finds those truths definite enough, which are written by the finger of God upon the heart of man and on the pages of the book of nature. Views of religion and duty, wrought out by the meditations of the studious, confirmed by the allegiance of the good and wise, stamped as sterling by the response they find in every uncorrupted mind, commend themselves to Masons of every creed, and may well be accepted by all. The Mason does not pretend to dogmatic certainty, nor vainly imagine such certainty attainable. He considers that if there were no written revelation, he could safely rest the hopes that animate him and the principles that guide him, on the deductions of reason and the convictions of instinct and consciousness. He can find a sure foundation for his religious belief, in these deductions of the intellect and convictions of the heart. For reason proves to him the existence and attributes of God; and those spiritual instincts which he feels are the voice of God in his soul, infuse into his mind a sense of his relation to God, a conviction of the beneficence of his Creator and Preserver, and a hope of future existence; and his reason and conscience alike unerringly point to virtue as the highest good, and the destined aim and purpose of man’s life. that God IS; and that a Wise and Good Being is the author of the starry Heavens above him, and of the moral world within him; and his mind finds an adequate foundation for its hopes, its worship, its principles of action, in the far-stretching Universe, in the glorious firmament, in the deep, full soul, bursting with unutterable thoughts. These are truths which every reflecting mind will unhesitatingly receive, as not to be surpassed, nor capable of improvement; and fitted, if obeyed, to make earth indeed a Paradise, and man only a little lower than the angels. The worthlessness of ceremonial observances, and the necessity of active virtue; the enforcement of purity of heart as the security for purity of life, and of the government of the thoughts, as the originators and forerunners of action; universal philanthropy, requiring us to love all men, and to do unto others that and that only which we should think it right, just, and generous for them to do unto us; forgiveness of injuries; the necessity of self-sacrifice in the discharge of duty; humility; genuine sincerity, and being that which we seem to be; all these sublime precepts need no miracle, no voice from the clouds, to recommend them to our allegiance, or to assure us of y their divine origin. They command obedience by virtue of their inherent rectitude and beauty; and have been, and are, and will be the law in every age and every country of the world. God revealed them to man in the beginning. To the Mason, God is our Father in Heaven, to be Whose especial children is the sufficient reward of the peacemakers, to see Whose face the highest hope of the pure in heart; Who is ever at hand to strengthen His true worshipers; to Whom our most fervent love is due, our most humble and patient submission; Whose most acceptable worship is a pure and pitying heart and a beneficent life; in Whose constant presence we live and act, to Whose merciful disposal we are resigned by that death which, we hope and believe, is but the entrance to a better life; and Whose wise decrees forbid a man to lap his soul in an Elysium of mere indolent content. every man did that only which is consistent with it, it would exile barbarity, cruelty, intolerance, uncharitableness, perfidy, treachery, revenge, selfishness, and all their kindred vices and bad passions beyond the confines of the world. The true Mason, sincerely holding that a Supreme God created and governs this world, believes also that He governs it by laws, which, though wise, just, and beneficent, are yet steady, unwavering, inexorable. He believes that his agonies and sorrows are ordained for his chastening, his strengthening, his elaboration and development; because they are the necessary results of the operation of laws, the best that could be devised for the happiness and purification of the species, and to give occasion and opportunity for the practice of all the virtues, from the homeliest and most common, to the noblest and most sublime; or perhaps not even that, but the best adapted to work out the vast, awful, glorious, eternal designs of the Great Spirit of the Universe. He believes that the ordained operations of nature, which have brought misery to him, have, from the very unswerving tranquility of their career, showered blessings and sunshine upon many another path; that the unrelenting chariot of Time, which has crushed or maimed him in its allotted course, is pressing onward to the accomplishment of those serene and mighty purposes, to have contributed to which, even as a victim, is an honor and a recompense. He takes this view of Time and Nature and God, and yet bears his lot without murmur or distrust; because it is a portion of a system, the best possible, because ordained by God. He does not believe that God loses sight of him, while superintending the march of the great harmonies of the Universe; nor that it was not foreseen, when the Universe was created, its laws enacted, and the long succession of its operations pre-ordained, that in the great march of those events, he would suffer pain and undergo calamity. He believes that his individual good entered into God’s consideration, a, well as the great cardinal results to which the course of all things is tending. entitled to be called a Grand Elect, Perfect, and Sublime Mason. He is content to fall early in the battle, if his body may but form a stepping-stone for the future conquests of humanity. It cannot be that God, Who, we are certain, is perfectly good, can choose us to suffer pain, unless either we are ourselves to receive from it an antidote to what is evil in ourselves, or else as such pain is a necessary part in the scheme of the Universe, which as a whole is good. In either case, the Mason receives it with submission. He would not suffer unless it was ordered so. What-ever his creed, if he believes that God is, and that He cares for His creatures, he cannot doubt that; nor that it would not have been so ordered, unless it was either better for himself, or for some other persons, or for some things. To complain and lament is to murmur against God’s will, and worse than unbelief. The hope of success, and not the hope of reward, should be our stimulating and sustaining power. Our object, and not ourselves, should be our inspiring thought. Selfishness is a sin, when temporary, and for time. Spun out to eternity, it does not become celestial prudence. We should toil and die, not for Heaven or Bliss, but for Duty. price which justice should assign to each as his especial production, can never be accurately ascertained. Perhaps few of those who have ever labored, in the patience of secrecy and silence, to bring about some political or social change, which they felt convinced would ultimately prove of vast service to humanity, lived to see the change effected, or the anticipated good flow from it. Fewer still of them were able to pronounce what appreciable weight their several efforts contributed to the achievement of the change desired. Many will doubt, whether, in truth, these exertions have any influence whatever; and, discouraged, cease all active effort. The Grand Elect, Perfect, and Sublime Mason will in nowise deserve that honorable title, if he has not that strength, that will, that self-sustaining energy; that Faith, that feeds upon no earthly hope, nor ever thinks of victory, but, content in its own consummation, combats because it ought to combat, rejoicing fights, and still rejoicing falls. waters; far less that, for the sake of distinction, it should flow in ineffective singleness away. 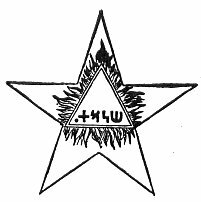 The true Mason will not be careful that his name should be inscribed upon the mite which he casts into the treasury of God. It suffices him to know that if he has labored, with purity of purpose, in any good cause, he must have contributed to its success; that the degree in which he has contributed is a matter of infinitely small concern; and still more, that the consciousness of having so contributed, however obscurely and unnoticed, is his sufficient, even if it be his sole, reward. Let every Grand Elect, Perfect, and Sublime Mason cherish this faith. It is a duty. It is the brilliant and never-dying light that shines within and through the symbolic pedestal of alabaster, on which reposes the perfect cube of agate, symbol of duty, inscribed with the divine name of God. He who industriously sows and reaps is a good laborer, and worthy of his hire. But he who sows that which shall be reaped by others, by those who will know not of and care not for the sower, is a laborer of a nobler order, and, worthy of a more excellent reward. The Mason does not exhort others to an ascetic undervaluing of this life, as an insignificant and unworthy portion of existence; for that demands feelings which are unnatural, and which, therefore, if attained, must be morbid, and if merely professed, insincere; and teaches us to look rather to a future life for the compensation of social evils, than to this life for their cure; and so does injury to the cause of virtue and to that of social progress. Life is real, and is earnest, and it is full of duties to be performed. It is the beginning of our immortality. Those only who feel a deep interest and affection for this world will work resolutely for its amelioration; those whose affections are transferred to Heaven, easily acquiesce in the miseries of earth, deeming them hopeless, befitting, and ordained; and console themselves with the idea of the amends which are one day to be theirs. It is a sad truth, that those most decidedly given to spiritual contemplation, and to making religion rule in their hearts, are often most apathetic toward all improvement of this world’s systems, and in many cases virtual conservatives of evil, and hostile to political and social reform, as diverting men’s energies from eternity. beautiful, knows to be wonderful, and feels to be unspeakably dear and fascinating. He does not put aside the nature which God has given him, to struggle after one which He has not bestowed. He knows that man is sent into the world, not a spiritual, but a composite being, made up of body and mind, the body having, as is fit and needful in a material world, its full, rightful, and allotted share. His life is guided by a full recognition of this fact. He does not deny it in bold words, and admit it in weaknesses and inevitable failings. He believes that his spirituality will come in the next stage of his being, when he puts on the spiritual body; that his body will be dropped at death; and that, until then, God meant it to be commanded and controlled, but not neglected, despised, or ignored by the soul, under pain of, heavy consequences. Yet the Mason is not indifferent as to the fate of the soul, after its present life, as to its continued and eternal being, and the character of the scenes in which that being will be fully developed. These are to him topics of the profoundest interest, and the most ennobling and refining contemplation. They occupy much of his leisure; and as he becomes familiar with the sorrows and calamities of this life, as his hopes are disappointed and his visions of happiness here fade away; when life has wearied him in its race of hours; when the is harassed and toil-worn, and the burden of his years weighs heavy on him, the balance of attraction gradually inclines in favor of another life; and he clings to his lofty speculations with a tenacity of interest which needs no in-junction, and will listen to no prohibition. They are the consoling privilege of the aspiring, the way worn, the weary, and the bereaved. To him the contemplation of the Future lets in light upon the Present, and develops the higher portions of his nature. He endeavors rightly to adjust the respective claims of Heaven and earth upon his time and thought, so as to give the proper proportions thereof to performing the duties and entering into the interests of this world, and to preparation for a better; to the cultivation and purification of his own character, and to the public service of his fellow-men. ages, when all men shall form one great family of brethren, and one law alone, the law of love, shall govern God’s whole Universe. Believe as you may, my brother; if the Universe is not, to you, without a God, and if man is not like the beast that perishes, but hath an immortal soul, we welcome you among us, to wear, as we wear, with humility, and conscious of your demerits and short-comings, the title of Grand Elect, Perfect, and Sublime Mason. It was not without a secret meaning, that twelve was the number of the Apostles of Christ, and seventy-two that of his Disciples: that John addressed his rebukes and menaces to the Seven churches, the number of the Archangels and the Planets. At Babylon were the Seven Stages of Bersippa, a pyramid of Seven stories, and at Ecbatana Seven concentric enclosures, each of a different color. Thebes also had Seven gates, and the same number is repeated again and again in the account of the flood. The Sephiroth, or Emanations, ten in number, three in one class, and seven in the other, repeat the mystic numbers of Pythagoras. Seven Amschaspands or planetary spirits were invoked with Ormuzd: Seven inferior Rishis of Hindustan were saved with the head of their family in an ark: and Seven ancient personages alone returned with the British just man, Hu, from the dale of the grievous waters. There were Seven Heliadæ, whose father Hellas, or the Sun, once crossed the sea in a golden cup; Seven Titans, children of the older Titan, Kronos or Saturn; Seven Corybantes; and Seven Cabiri, sons of Sydyk; Seven primeval Celestial spirits of the Japanese, and Seven Karfesters who escaped from the deluge and began to be the parents of a new race, on the summit of Mount Albordi. Seven Cyclopes, also, built the walls of Tiryus. Celsus, as quoted by Origen, tells us that the Persians represented by symbols the two-fold motion of the stars, fixed and planetary, and the passage of the Soul through their successive spheres. They erected in their holy caves, in which the mystic rites of the Mithriac initiations were practised, what he denominates a high ladder, on the Seven steps of which were Seven gates or portals, according to the number of the Seven principal heavenly bodies. Through these the aspirants passed, until they reached the summit of the whole; and this passage was styled a transmigration through the spheres. Jacob saw in his dream a ladder planted or set on the earth, and its top reaching to Heaven, and the Malaki Alohim ascending and descending on it, and above it stood INUH, declaring Himself to be Ihuh-Alhi Abraham. The word translated ladder, is ‏ו ?S?Lמ‎ Salam, from ‏ו ?S?L?L‎, Salal, raised, elevated, reared up, exalted, piled up into a heap, Aggeravit. ‏ו ?S?L?L?H‎ Salalah, means a heap, rampart, or other accumulation of earth or stone, artificially made; and ‏ו ?S?L?O‎, Salaa or Salo, is a rock or cliff or boulder, and the name of the city of Petra. There is no ancient Hebrew word to designate a pyramid. The symbolic mountain Meru was ascended by Seven steps or stages; and all the pyramids and artificial tumuli and hillocks thrown up in fiat countries were imitations of this fabulous and mystic mountain, for purposes of worship. These were the “High Places” so often mentioned in the Hebrew books, on which the idolaters sacrificed to foreign gods. The pyramids were sometimes square, and sometimes round. The sacred Babylonian tower [‏ו ם?G?D?L‎, Magdol], dedicated to the great Father Bal, was an artificial hill, of pyramidal shape, and Seven stages, built of brick, and each stage of a different color, representing the Seven planetary spheres by the appropriate color of each planet. Meru itself was said to be a single mountain, terminating in three peaks, and thus a symbol of the Trimurti. The great Pagoda at Tanjore was of six stories, surmounted by a temple as the seventh, and on this three spires or towers. An ancient pagoda at Deogur was surmounted by a tower, sustaining the mystic egg and a trident. Herodotus tells us that the Temple of Bal at Babylon was a tower composed of Seven towers, resting on an eighth that served as basis, and successively diminishing in size from the bottom to the top; and Strabo tells us it was a pyramid. Faber thinks that the Mithriac ladder was really a pyramid with Seven stages, each provided with a narrow door or aperture, through each of which doors the aspirant passed, to reach the summit, and then descended through similar doors on the opposite side of the pyramid; the ascent and descent of the Soul being thus represented. the world in miniature; and so the whole world was one grand temple. The most ancient temples were roofless; and therefore the Persians, Celts, and Scythians strongly disliked artificial covered edifices. Cicero says that Xerxes burned the Grecian temples, on the express ground that the whole world was the Magnificent Temple and Habitation of the Supreme Deity. Macrobius says that the entire Universe was judiciously deemed by many the Temple of God. Plato pronounced the real Temple of the Deity to be the world; and Heraclitus declared that the Universe, variegated with animals and plants and stars was the only genuine Temple of the Divinity. How completely the Temple of Solomon was symbolic, is manifest, not only from the continual reproduction in it of the sacred numbers and of astrological symbols in the historical descriptions of it; but also, and yet more, from the details of the imaginary reconstructed edifice, seen by Ezekiel in his vision. The Apocalypse completes the demonstration, and shows the kabalistic meanings of the whole. The Symbola Architectonica are found on the most ancient edifices; and these mathematical figures and instruments, adopted by the Templars, and identical with those on the gnostic seals and abraxæ, connect their dogma with the Chaldaic, Syriac, and Egyptian Oriental philosophy. The secret Pythagorean doctrines of numbers were preserved by the monks of Thibet, by the Hierophants of Egypt and Eleusis, at Jerusalem, and in the circular Chapters of the Druids; and they are especially consecrated in that mysterious book, the Apocalypse of Saint John. All temples were surrounded by pillars, recording the number of the constellations, the signs of the zodiac, or the cycles of the planets; and each one was a microcosm or symbol of the Universe, having for roof or ceiling the starred vault of Heaven. of the moon, as described by Plutarch; the whole thirty-eight that surrounded them recording the two meteoric cycles so often found in the Druidic temples.